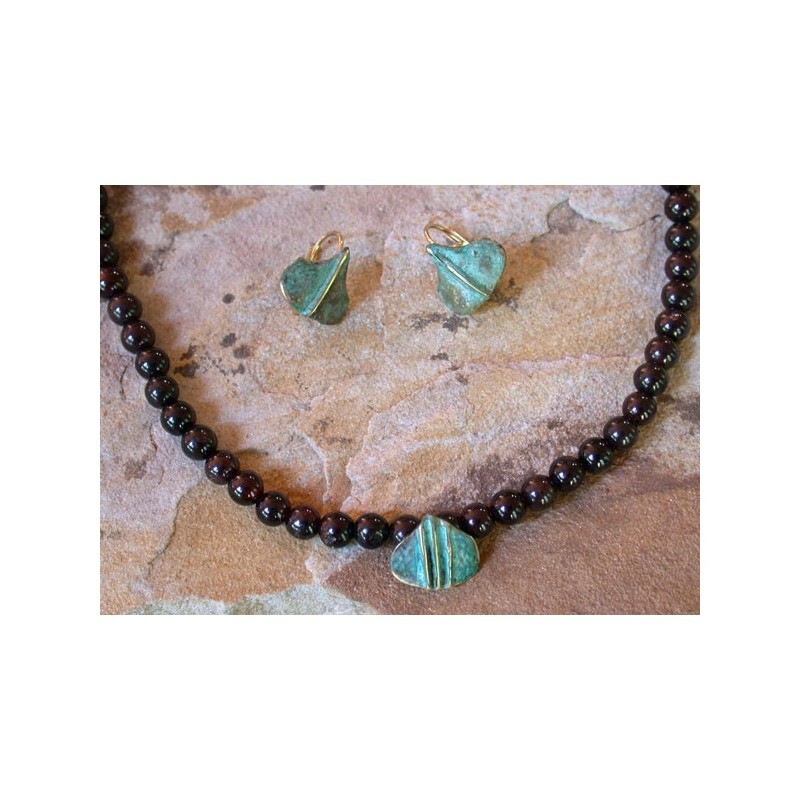 A Stylized Ginkgo Leaf Necklace and Earrings Set from our Ancestors Collection in Lost Wax Cast Solid Brass with our exclusive Verdigris Patina, shown with Small Round genuine Garnet Beading. 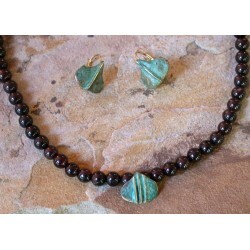 Round Garnet Beads shown, Faceted Garnet Beads available (add $2). Length: 16" - 18" genuine Garnet Beading.